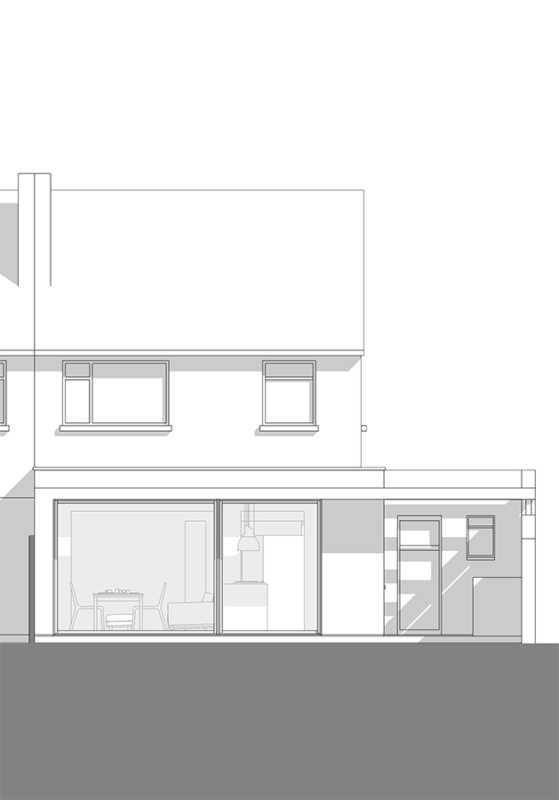 The aim of this project was to design a small extension to the back of an existing two storey house on Summerville Avenue in Waterford, a mature, residential area in the east of the city. 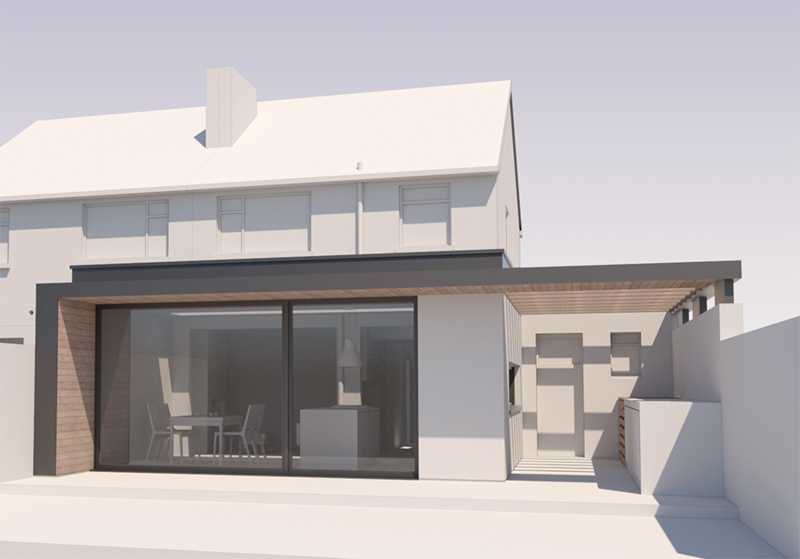 It was a perfect opportunity to demonstrate our approach to smaller projects, whereby tiny changes and additions are used to positively impact existing architecture. 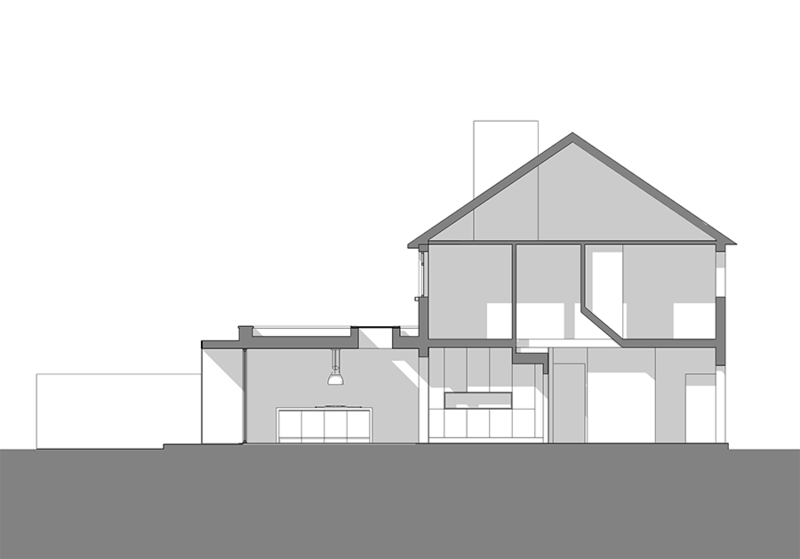 The clients approached us to design this self-build project to remedy the main problem with the existing house – the original kitchen was very small, and there was no dining room, which negatively impacted the residents’ quality of living. 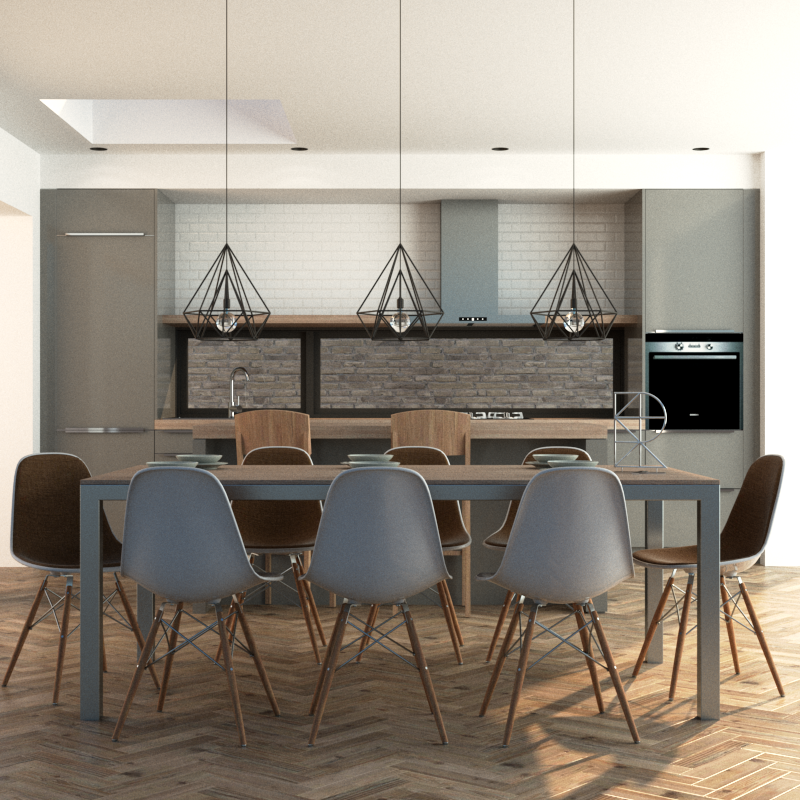 To tackle the problem we proposed a spacious, open plan kitchen and dining room with floor to ceiling sliding doors. A large window incorporated into the flat roof catches maximum levels of daylight. The resulting extension was a simple, well-proportioned open plan living area, complemented by a contemporary, unfussy style. The refurbishment continued into the garden, with the addition of a garden patio, linking the garden and the house. A second seating area was added, allowing the residents to take full advantage of the garden area for summer barbeques and entertainment.